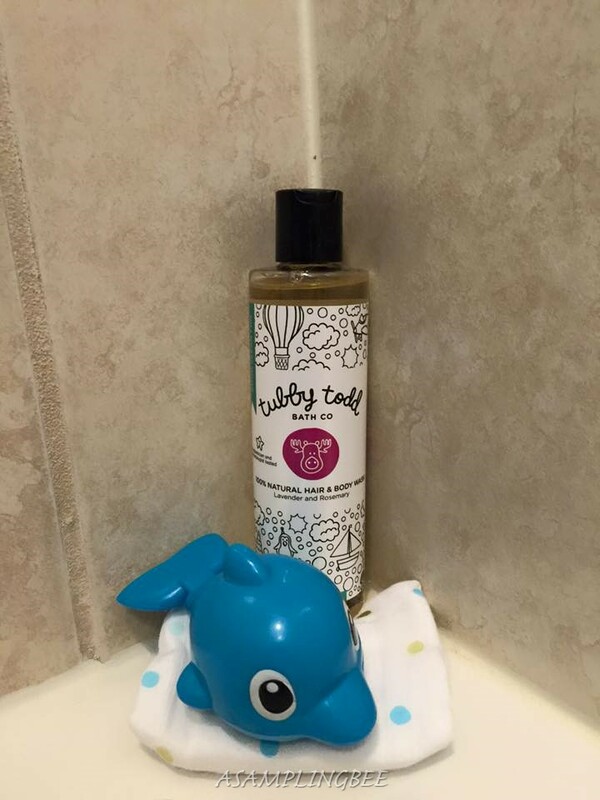 Tubby Todd Bath Co. products are 100 natural, animal cruelty free and made in the USA! 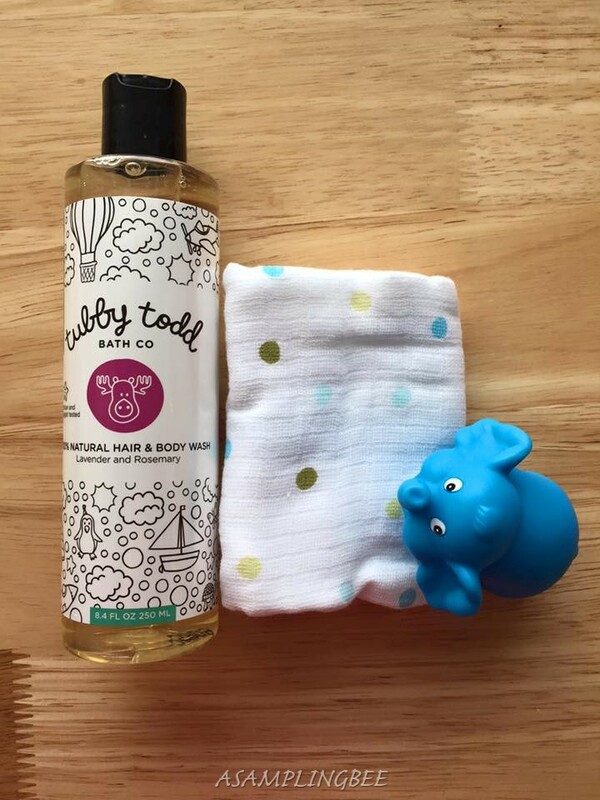 Tubby Todd's bath products are gentle on even the tiniest of bodies and faces. It's safe for every skin type. The Lavender and Rosemary Hair & Body Wash is hypoallergenic. It is packed with natural extracts and plant-based ingredients. 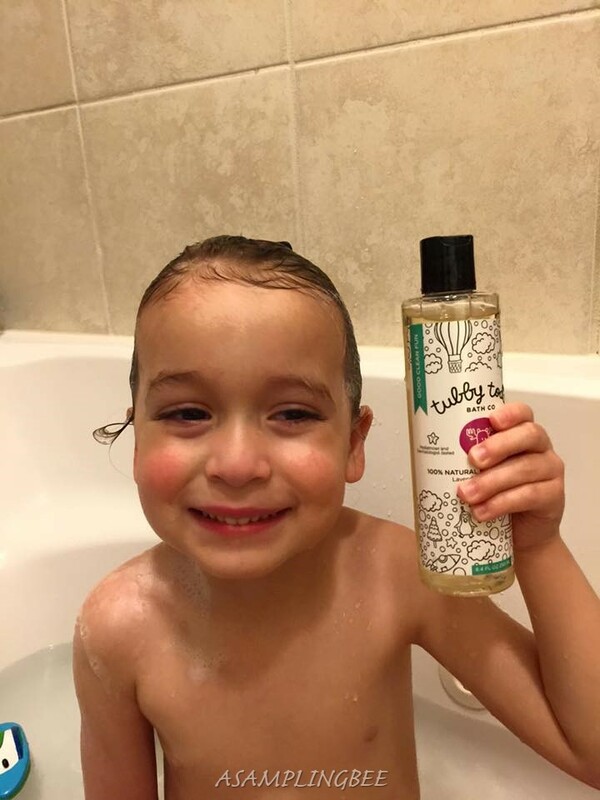 Its exclusive Botanical Shield formula softens, cleans, and moisturizes your little ones skin! Pediatrician and dermatologist tested. 100% Natural Ingredients: Water, Sodium Lauroyl Methyl Isethionate, Cocamidopropyl Betaine, Disodium Laureth Sulfosuccinate, Lavandula Angustifolia (Lavender) Flower/Leaf/Stem Extract, Lavandula Angustifolia (Lavender) Oil, Lavandula Hybrida Oil, Rosmarinus Officinalis (Rosemary) Leaf Extract, Lonicera Caprifolium (Honeysuckle) Flower Extract, Lonicera Japonica (Honeysuckle) Flower Extract, Citrus Grandis (Grapefruit) Fruit Extract, Chamomilla Recutita (Matricaria) Flower Extract, Echinacea Angustifolia Extract, Macrocystis Pyrifera (Kelp) Extract, Fragrance, Disodium Cocoyl Glutamate, Guar Hydroxypropyltrimonium Chloride, Sodium Cocoyl Glutamate, Sodium Chloride, Sodium Citrate, Citric Acid, Glycerin. This wash really lathers which makes bathing easier. You can get your kiddos clean from head to toe with one small squeeze. The smell of the wash is fantastic. Think sweet and fruity with a hint of coconut, lavender and rosemary. It leaves my sons skin smelling good and very soft. As well as moisturized. I love this product because it does not dry out their skin. My boys are getting washed safely thanks to Tubby Todd Bath Co. I look forward to reviewing more of their awesome products. Fingers crossed :)!! 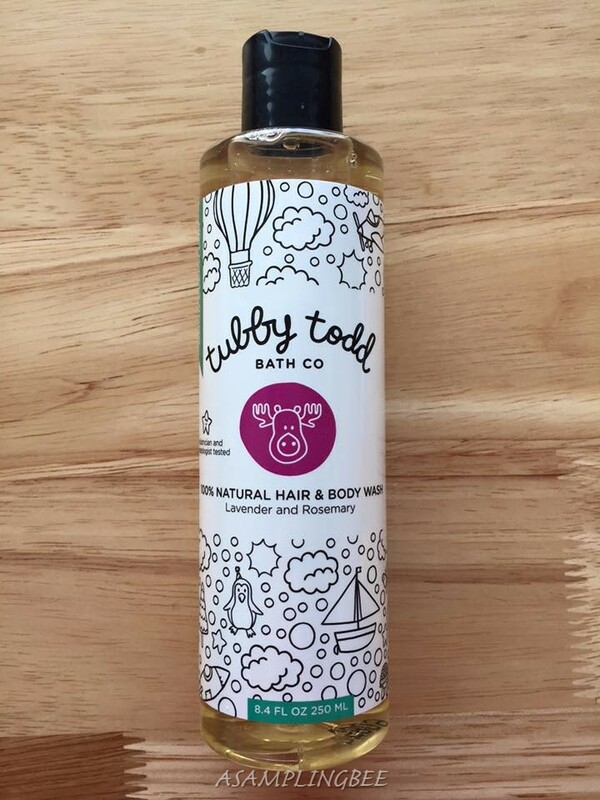 I love the fact that Tubby Todd Bath Co.'s products are free of gluten, paraben, sulfate, artificial fragrance & color, BPA and animal cruelty. There are a whole bunch of bath products available. Bubble Bath, Lotions, Dream Cream, All Over Ointment and Baby Fresh Spray. I also love the packaging. It's cute and fun. My oldest son loves pointing out all of the pictures on the label. As I am writing this, I am wondering to myself if it is possible to color on the label while in the bath tub. With some bath crayons or markers. Hmm.. 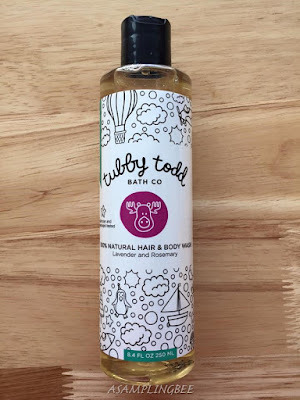 I received a sample of Tubby Todd's Hair & Body Wash to create my review. All opinions are my own. Thanks, Tubby Todd Bath Co.! I would love the smell of this shampoo and body wash. I think the price is a little high for me, but I might just be out of the ordinary! I would love to try it just for the fun of it. Gentle and effective products like this are perfect for kids. I love that they're cruelty-free. Sounds like an awesome body wash for kids! Thanks for the review. I love all natural baby items! I totally need to try this for my son. Anything with lavender is OK in my book! I swear the scent really does relax my crazy hyper kids and gets them ready for bedtime. Thanks for sharing! That sounds a great product. Guess will try this for my kids. I had not heard about these products, but would love to try them out with lil man!! I love that they are all natural and chemical free!! I love that it's Rosemary and Lavender scented. I haven't seen this brand before but I'll be on the lookout! This sounds like a great product. I want to get this for my granddaughters. This would be the first time that I am hearing about Tubby Todd Batch Co. but I think the product is gentle. I would even use it myself - you got me at fruity hint of coconut. I like scents that have a bit of coconut in them because they remind me of the beach & they really smell good. I'd give this a try if I ever see this one here. I should try this! I heard that rosemary is very healthy for your hair. Plus a good head to toe wash is great for kiddos. One bottle for two different uses. This sounds like a great product line. I would love to try the Lavender and Rosemary Hair & Body Wash first. I love finding a great smelling bath product for kids. This sounds lovely! And isn't it awesome you can wash hair and body with the same thing? I've heard of Tubby Todd! We really got to give it a try. Sounds great. Sounds like an awesome product to try. Gotta check this out soon!